Dance Classes, Lessons, Events & Courses for Your 2 Left Feet. Professional tuition from IDTA qualified instructor. 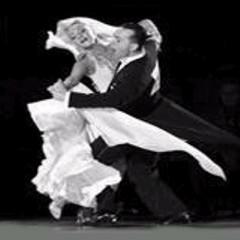 Latin, Ballroom, Salsa and Freestyle for all age ranges and levels. Private and Group lessons offered. Classes from beginners to advanced. Medallist classes also available. Wedding first dances a speciality! Performance /​ cabaret act as couple or six-strong dance troupe. Available for private events, corporate events and parties. Event Organiser, Private Coaching, Instructor Training, Dance Studio/School, Regular Dance Classes, Instructor for Hire, Choreographer, Dance Company, Demonstrations / Cabaret, Professional Training, Performances, Own Choreography, Corporate Entertainment, Workshops, Tours, Weddings. Dance Styles: Modern Ballroom, Latin American, Salsa Dance, Disco Dance, Aerobic, Dancercise, Freestyle Dance, Exercise Dance, Rock 'n' Roll (Ballroom), Pre-School Dance, Ballroom, Fitness, Street Dance, Pop-Video Dance, Salsa (Cuban), Dancesport. Website. All Entries for Esporta Health Club Venue. Car Parking. Modern Ballroom, Latin American, Salsa, Disco, Aerobic, Dancercise, Freestyle, Exercise, Rock 'n' Roll (Ballroom), Pre-School, Ballroom, Fitness, Street, Pop-Video, Salsa (Cuban), Dancesport Instruction at Beginner to Improver level, Practice at Beginner to Improver level. Admission £10.00. Open to Esporta members only. Singles and couples. This is a very small group class 10 max. Bookings are taken on a 'first come, first served' basis. Website. All Entries for Guildford County School Venue. Car Parking. Stage. Latin American, Ballroom, Mixed Social Instruction at Complete Novice to Beginner level, Practice at Complete Novice to Beginner level. We will be covering all the Latin and Ballroom dances at a social level and above. you do not need to bring a partner. Latin American, Ballroom, Mixed Social Instruction at Improver level, Practice at Improver level. Admission £10.00. We will be covering all the Latin and Ballroom dances at a social level and above. you do not need to bring a partner.